The Korean company Sydnt has added a new flash drive to their Volvox product line. 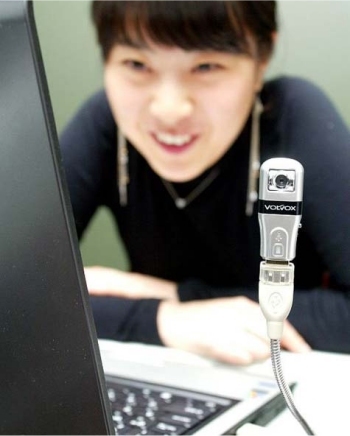 The Volvox USB webcam looks and acts like a USB flash drive, and comes in capacities of 512MB, 1Gb and 2GB. 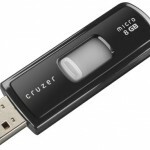 There is one added feature that makes this flash drive unique; it also acts as a webcam that is able to take 1.3 Megapixel photos at a rate of 30 frames per second. It appears to have a flexible stiff cable that works as a USB extension and a stand so you can position your webcam however you would like. There aren’t too many specs out about this camera flash drive, but it really looks like a pretty cool gadget. If it turns out to be something around $20 and I have $20 I will think about picking one up. More photos are at Akihabara News or you can check out the Sydnt web site. Stackable Thumb Drives, Or One Port USB Hubs? HOW CAN I GET MY HANDS ON ONE?